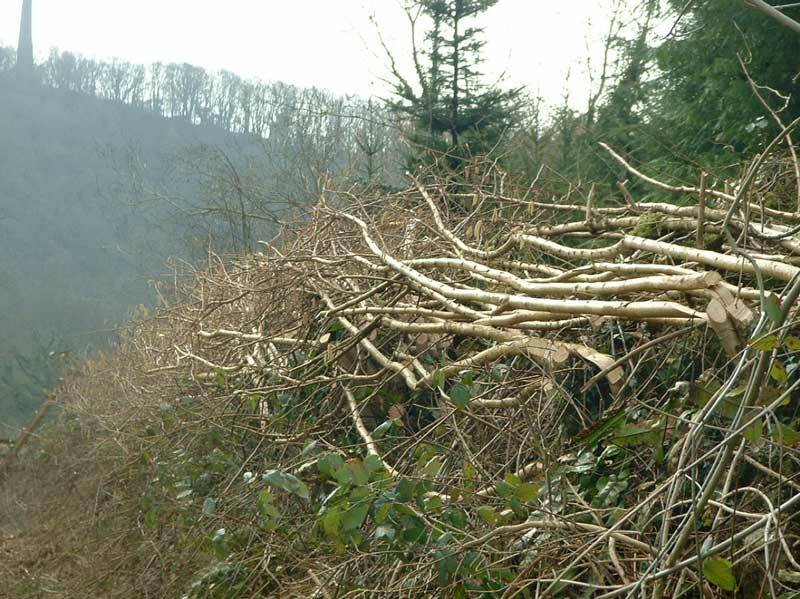 In the westcountry the agricultural or boundary hedge is usually sited on top of an earth retained wall (a Devon bank or Cornish hedge) In this instance the hedge is layed near to horizontal and pegged in place to prevent being ‘blown out’. 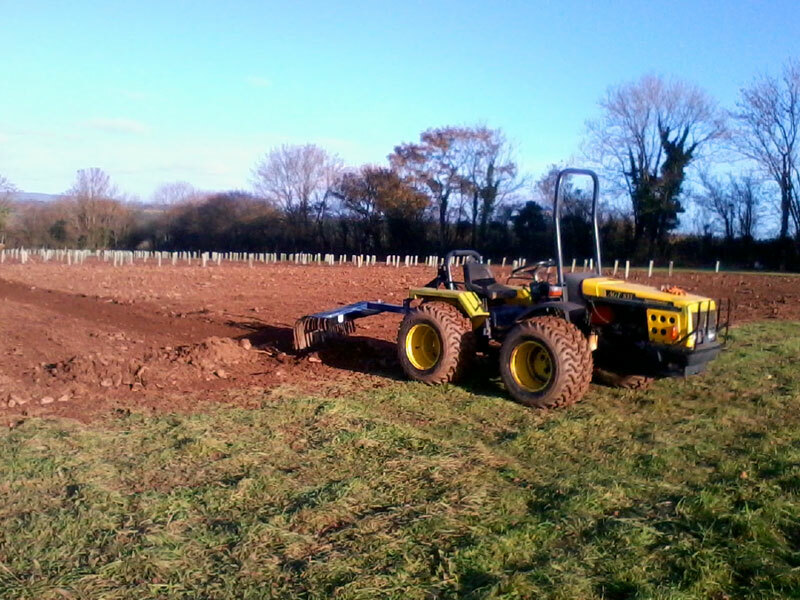 The benefits of a layed hedge are great , such as stockproofing, shelter, wildlife and amenity. 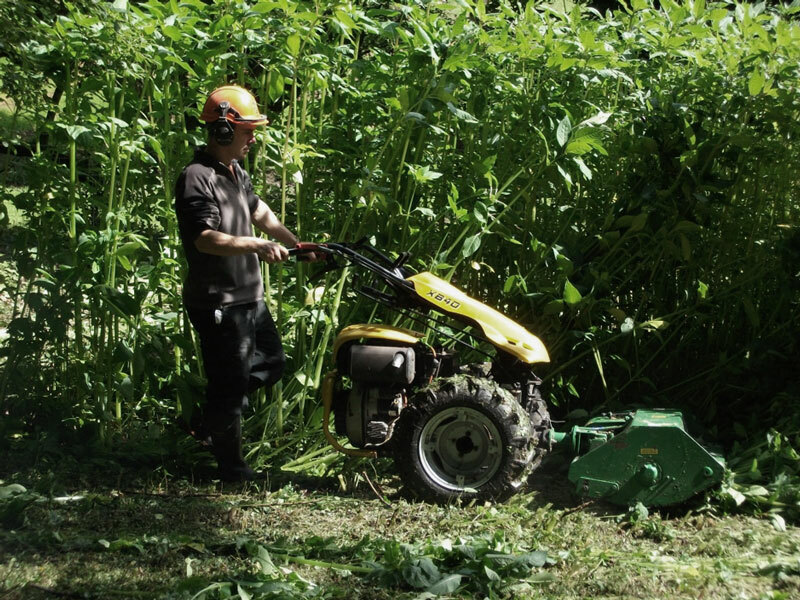 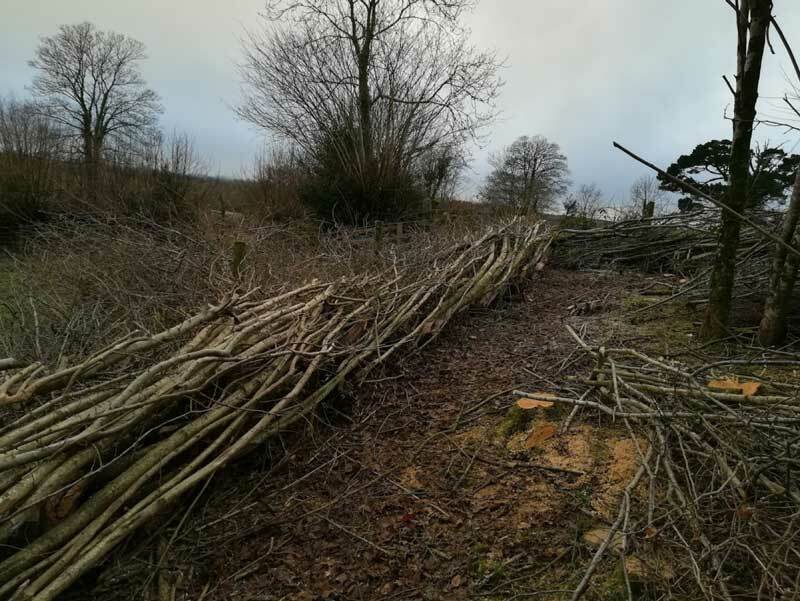 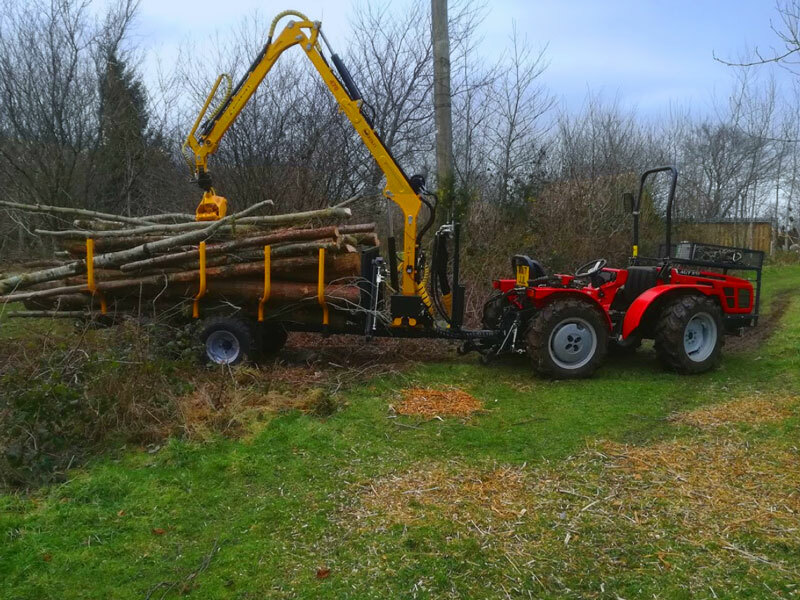 If the hedge has been unmanaged for too long and the stem diameter is generally over 200mm the usual recommendation would be to coppice (cut to the ground in winter) and lay the regrowth in a few years time. 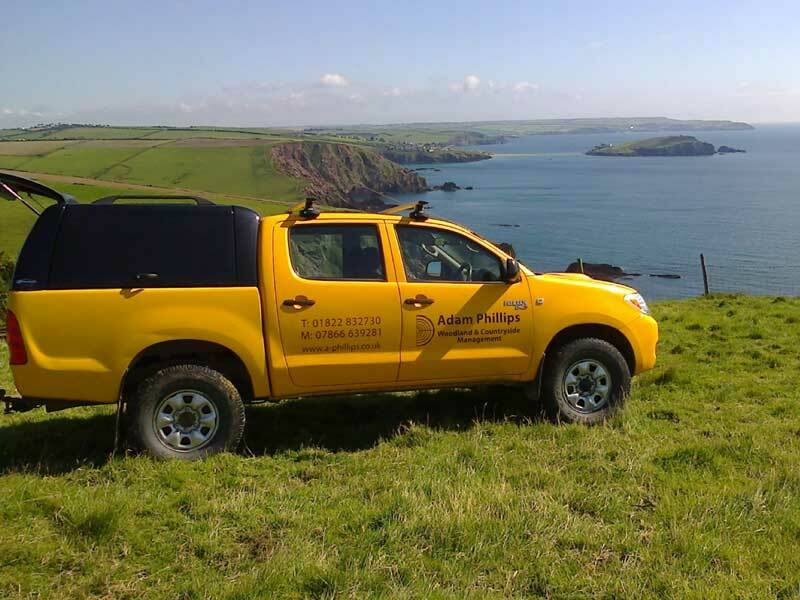 At the same time as laying the hedge it may be necessary to carry out additional boundary repairs to the stone face or replacing the soil on top of the hedge (casting up) after decades of erosion from stock, weather and rabbits. 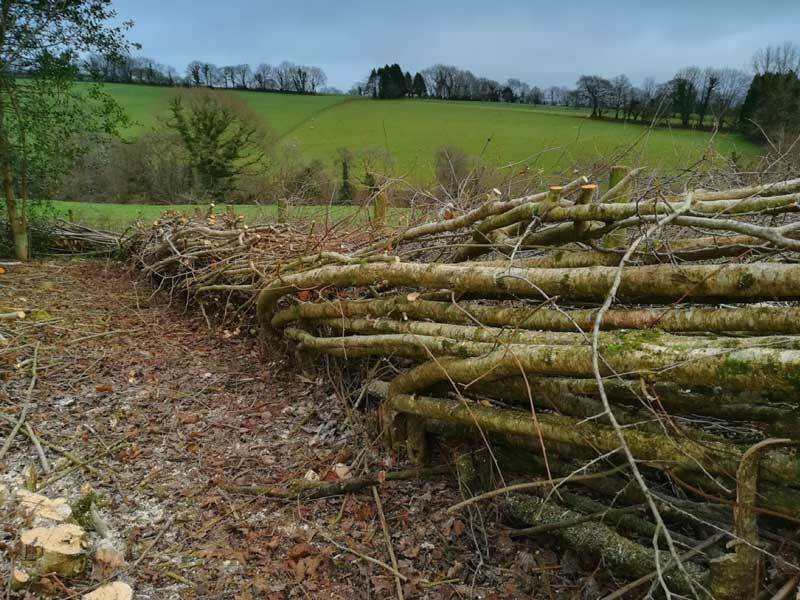 If the hedge is ‘gappy’ it is a good time to plant some transplants or saplings. 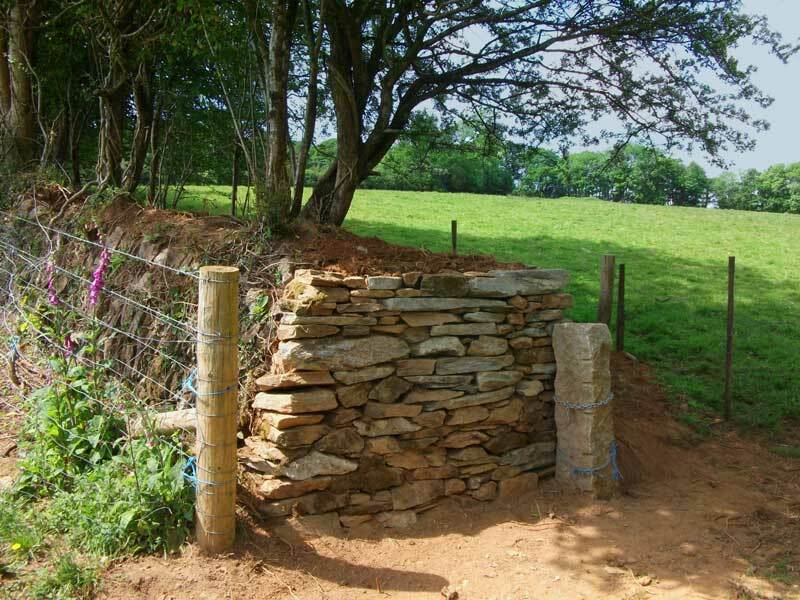 It may also be necessary to fence along the hedge to prevent ongoing erosion from livestock. These works are carried out when the wood is in dormancy and before bird nesting, between November and the end of February.